While I didn’t read that much books recently, I managed to finish some books, but mainly non-fiction. 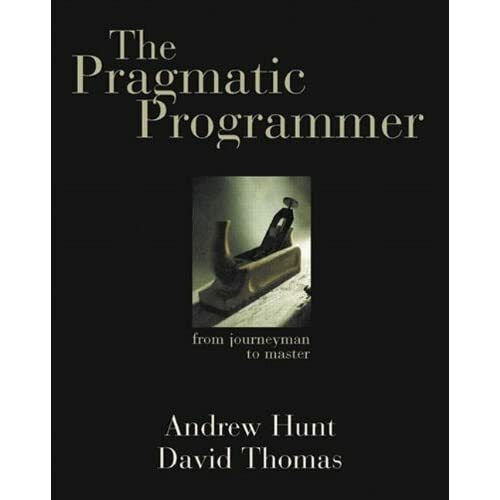 The Pragmatic Programmer – Andrew Hunt. A very interesting book, which provides a very large number of pratical tips and tricks in order to become a better software developer, but also better in other tasks. Essentially, this book should be a ‘must read’ for every person working as a developer in the IT industry. It would probably result in less badly written software and improve the general quality of the IT industry. I can recommend this book to everyone. The book gives tips and advice on how to become more productive while keeping the quality of your products on a constant level. For example, it provides a large number of hints on how to avoid repeating yourself (DRY – Don’t Repeat Yourself) like using code generation, reducing the efforts for creating documentation, etc. It also provides a large number of tips and references on tools which a decent programmer should use on a daily basis, like a decent texteditor (VIM, Emacs or something different), source code management (CVS, Subversion) and things like that. 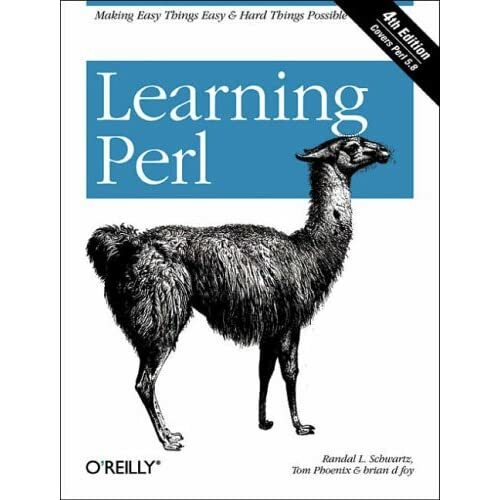 Learning Perl – Randal L. Schwartz. I decided to read this book, because I didn’t have any knowledge about this scripting language, while it is used very much – especially in the Unix-world. I don’t think I will the program language use now for everything, but now I know a little bit about the language, I think I will use it when appropriate. The book is easy to read and doesn’t cover everything of the language, but provides basic knowledge sufficient for using Perl on a regular basis. Yesterday, the WWDC opened its doors with a keynote speech of Steve Jobs introducing the new Mac OS X version called Leopard and the anticipated Mac Pro systems. Additionally, the company also introduced new versions of is Xserv server systems and Leopard for the servers. The innovations in Leopard are not very spectacular in my opinion, or at least I was not waiting for them. The most important innovations according to Apple are Time Machine and Spaces. Time Machines enables user to take a snapshot of the system (stored on an external harddisk or a Xserve) and revert to these snapshots whenever one wants. Unfortunately for Apple, they’re not the first one shipping such a tool, as Miguel points out. Dirvish provides identical features. Another ‘innovation’ according to Apple is ‘spaces’, which enables the user to keep sets of applications for a given task instantly available. Wow, this sounds very similar to virtual desktops – what an innovation. Ok, I have to admit that I did not see this feature working yet, so probably it is a little more polished than most virtual desktop implementations, but it is not very unlikely that the possibilities are similar. According to the article at AppleInsider, Spaces includes the possibility to preview the various desktops in tumbnial format – probably similar to the working of ExposÃƒÂ©. Well, at least is is more useful than the new features (uh, which features?) in Microsoft Vista, whith the difference that Vista contains a lot more changes ‘under the hood’ (at least, I think it does). Ok, so far not a high-priority upgrade. Obviously Leopard does have more improvements. For example, there are PhotoBooth effects available for Mail (nice, but not something I was waiting for) and Mail.app provides facilities to store notes and todo lists and aggregate RSS feeds. That could be useful, but there are already tons of e-mail applications which provides these features, and Mac OS X already contained applictions like iCal and sticky notes which fullfill these tasks. Another thing to mention is the new application Xray, which enables developers to debug applications and do some profiling. According to Calum Bensom, Xray is based on DTrace, which is created by Sun and open sourced under the OpenSolaris project. The implementation of Apple will probably be very nice and the use case they provide in their promotional material confirms this assumption. But while I still didn’t do any development for Mac OS X, I think I will not use it. There are more improvements, but the other improvements in Leopard are mainly bug fixes and small features which in fact doesn’t require a complete new operating system. Currently, I don’t think I will spend money on Leopard, because it doesn’t provide features I will need very much. Ok, so far on Leopard. Apple also announced a new Mac Pro system. As expected, this system contains two dual-core Xeon processors based on the Woodcrest core (which is in fact a similar core to the Core 2 Duo cores Intel recently introduced). This is a very powerfull system for (considering the features) a resonable price of 2500 dollars. Apart from new processors and the obvious upgrades (new videocard, more memory, faster and bigger harddisks), the system is similar to its PowerPC predecessor. If I had the money, I think I would like to have such a system, because it has so much power that the coming years, upgrades are not very necessary. It is like buying a Ferrari – much faster isn’t available. Yes, I’m still alive. I didn’t write much lately, mainly because I had some troubles with my life and the very hot weather. I hope I will be able to write some interesting stuff the coming weeks. My girlfriend decided this week that she wanted to get some time for herself in order to determine if she still likes our relationship (at the moment she thinks she doesn’t). The reason for this, is that I was having some mental problems (maybe I was a little depressed the last few weeks? ), but didn’t talk about it with her. Additionally, I didn’t work very hard on my final project for my Msc. grade, which caused some friction in our relationship as well. Currently I’m staying at my parents house in order to get things sorted out. Life ain’t easy. I really hope we will be able to get our relation working again, because she definately is the girl of my dreams and I really don’t want to lose her. Time will tell. On other news, I started programming on the OntoAIMS project, in order to finish my graduation project. I also started learning Perl, which is a very nice language for easy tasks. Especailly the regular expressions, which are also implemented in other languages, are very nice. While I already had some knowledge on Perl compatible regular expressions, I definately learned some new things and it is also nice to know how to use these things in the language for which they were originally developed. You are currently browsing the Martin @ Blog blog archives for August, 2006.